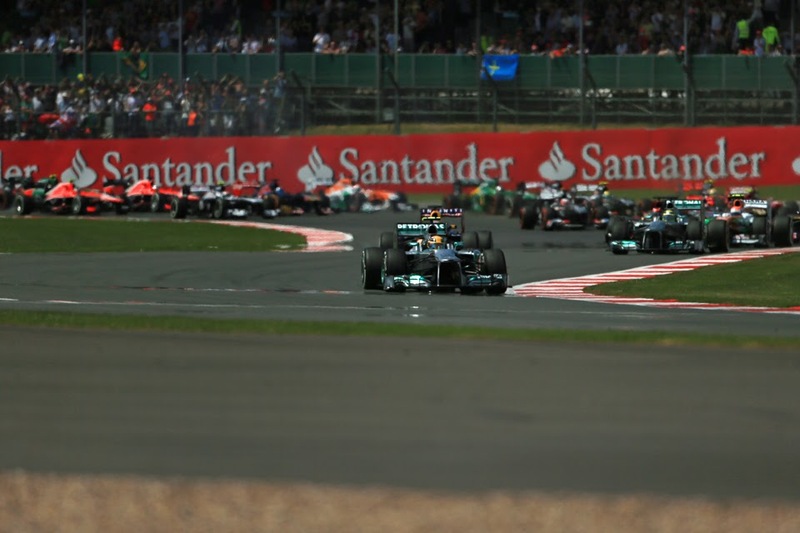 The 2013 F1 season was a year that promised much and in many ways disappointed. It was a year undermined by political intrigue, aggravation, sometimes scandal. A year that perhaps won't linger in the affections, aside from recollection of a driver and team in unison performing at the top of their respective games in taking the honours, a partnership that has been formidable for a while and was increasingly so as this campaign went on. We might have witnessed the team in some ways at its worst this season, but we also saw it at its very best. And yet at the campaign's outset we were full of optimism, coming off a season wherein the fare were was more competitive and varied than had been so for a long while, and was played to a close and dramatic climax. There were not many reasons to think that things would be much different this time, yet we didn't to any great extent get more of the same, and worse the main thing that we did get more of was politics. The F1 fraternity is a fractious lot, and the sport can never be detached completely from disputes; the tendency merely has to be managed. But this campaign contained rather a lot to manage, and much flowed over the brim. The matter that dominated the discourse in the first half of the year - much more than any driver or team - were the dark matters of the Pirelli tyres. Dark in more ways than one. 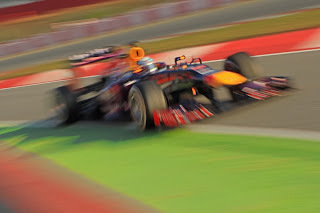 Early in the 2013 season some noticed that the rubber, with Pirelli deliberately engineering degradation in, didn't allow drivers to push all the time. This really shouldn't have been a surprise, as that had been Pirelli's approach (at the behest of Formula One Management) since its return as the sport's supplier in 2011 in order to add a variable to the racing and to strategies. And as had also been also been its way it also this year went more extreme with the tyres than in the season before, given that each year the teams' tendency to get on top of the challenges as the season went on resulted in more tepid fare. But even though it was all hardly unforeseen, the state of the rubber got some into a state akin to a dog biting at the sport's prevailing conditions by the ankle and refusing to let go. The complaints weren't exclusively from the Red Bull team, but they were primarily. As Fernando Alonso was to note ruefully later, major figures in the team would spent much of race weekends hammering away in public on the subject, and in the intervening days between race meetings the Red Bull owner Dietrich Mateschitz would join in. As, eventually, did Bernie Ecclestone, who just so happens to have a close relationship with the Milton Keynes team. Not that anyone drew any conclusions from that. And why? Well broadly it was because the team worked out that the tyres were impeding its ability to go quickly more than they did for most. Partly it's because the tyres' characteristics slowed the cars through the corners, particularly the quick ones, and therein the Bulls had the most to lose. Partly too the tyres' new steel belt replacing the kevlar meant that the Bull didn't benefit from an increased contact patch from its greater downforce than its rival machines as it had before. But some reckoned rather that Red Bull had simply got it wrong in that its heat management at the back of the car was sub-optimum and thus was overheating the rear tyres, which tended to lose that variety of them grip. But as mentioned the complaints didn't emanate exclusively from the Red Bull camp, plenty of fans and other observers agreed with them, and did their best to convince all that what was being served as a spectacle was unspeakable. To quote one (not untypical) example from those reliable judges of rectitude in the press, after a particular race they claimed that what was on show was 'tyranny of the tyre...the unloved novelty of four stops per car is conspiring to reduce the sport to a rambling sequence of place-swapping that bears little resemblance to racing'. Those who wanted change - including Red Bull - had a weakness for talking in rather pious terms of what F1 'should be'. Though quite how this squared with changing the landscape mid-season in response to the browbeating by a major team that had simply got it wrong within hardly unforeseen conditions was never made clear. And despite the apparent moral certainty of those wanting change there was never anything close to unanimity on the matter: it split not just the teams and drivers down the middle but also those watching on too. There are things that one can criticise Pirelli for: possibly things in regard to degradation did go too far this year; some races early in the year were too much exercises in tyre preservation, particularly Monaco wherein lap times were slower than those of the weekend's GP2 races for much of the way. Certainly the soft and supersoft compounds seemed too extreme - good only for a few laps - and too far from the medium compound; that those were barely seen in the second half of the year was an effective admission of as much. But seeking to prevail on-track via an intense political campaign against a supplier that was only seeking to do what it was told to, and doing it with very little help from the competitors in terms of agreeing on testing and the like, left a rather unpleasant taste. Many of those in F1 also continued to show all of the solidity of a weathercock in terms of what it demanded from the tyres. 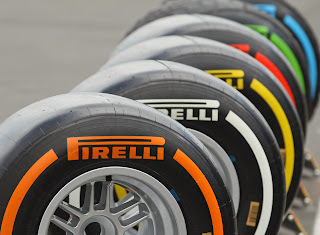 Just like in 2012, and in 2011, for all of the complaining that the early rounds were made too much of a lottery by the tyres, it was argued with equal vociferousness that the 'Bridgestone-style' one-stop races later in the year after the teams had got on top of the tyre challenges had got too dull. Little wonder that the Italian company showed outward signs of extreme exasperation as the season progressed. Little wonder too that long before the season was out Pirelli had said something to the effect of 'sod this for a game of soldiers' and decided that next year it would start to make tyres as nature intended. In the immediate term after this fuss kicked into gear Pirelli's compound selections got conspicuously more cautious, but more broadly it for a time looked like Red Bull and those who agreed with them would be defied: the FIA announced that mid-year tyre changes could only be affected with the unanimous support of the teams (which was not going to happen given some teams - most notably Ferrari, Lotus and Force India - were doing very well by the tyres thanks very much) or with it being a safety issue (which Pirelli - perhaps understandably - was reluctant to concede). As it was, the events of the Silverstone weekend forced everyone's hands. A tyre blow out for Sergio Perez in Saturday morning practice was merely the portent of a nightmarish sequence of spectacular Pirelli failure following spectacular Pirelli failure in the race (of a very different type to those on show earlier in the year wherein the tread detached but the tyre remained inflated): Hamilton, Massa, Vergne, Perez again. The safety car emerged after Vergne's failure, and Charlie Whiting admitted that he was close to calling the whole thing off. Arguably that's exactly what he should have done; it was pure luck that no one - either those experiencing the tyre failures or those following them (Alonso and Raikkonen had particular near-misses) - was injured or worse. The race was run to a finish eventually but with most watching from behind their fingers. And following this something had to be done, and had to be seen to be done, and by Hungary we had the changes that Pirelli had suggested in the first place: replacing the steel tyre belt with the kevlar. The year ended without rancour on the tyre front but Pirelli continues to get next-to no benefit of any doubt: as evidenced by the rather hysterical reaction to a tyre failure for Nico Rosberg in post-season tyre testing. The mid-year tyre switch ensured the 2013 season had something of a 'game of two halves' about it. Things weren't quite turned on their head but there were conspicuous winners and losers. And as anticipated the Bulls were among the former, and the switch turned a probable double title win into a cruise. After the summer break Vettel won everywhere, and looked like he could be defeated only by unusual occurrences, which never arrived. Had the 2013 title race been closer than it was, and more to the point had it altered the probable destination of the crowns, the sore possibly would have festered more than it did. And while it was resolved by safety matters safety was a matter hardly mentioned in the disputes - instead the teams arguing for a change or otherwise based their views on competitiveness, and as mentioned many couched it all in dubious 'good of the sport' language - so no one could state that they had told us so. It was a matter that few emerged from with much to be proud of. 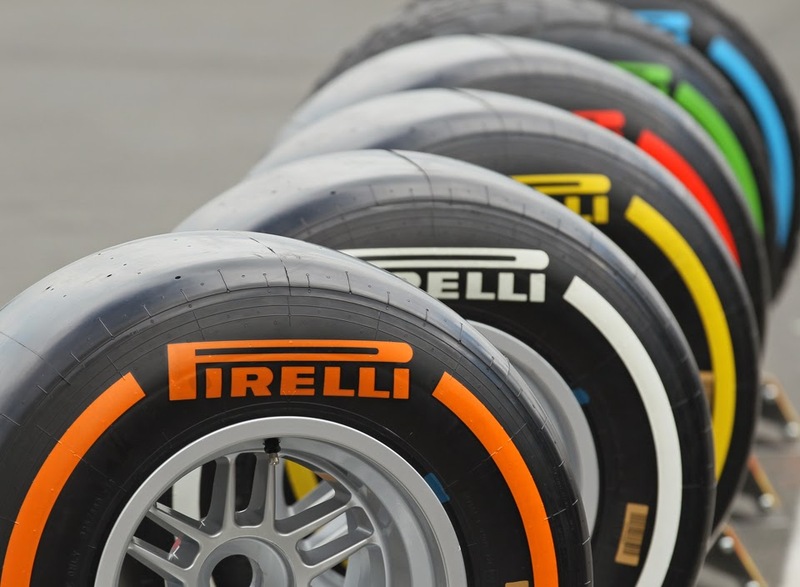 The dark matters of the Pirelli tyres also had a curious offshoot, that threatened to overshadow even the broader dispute outlined already. And it seemed from the realms of fantasy: it emerging in the morning of the Monaco race that Mercedes had undertaken a private/secret (delete as applicable) tyre test at Barcelona in the days after the Spanish Grand Prix with Pirelli. It seemed rather at a variance to F1's in-season testing ban, and Merc had also given the outward impression of a team going to a few lengths to make sure others didn't know about it: lots of security at the circuit's periphery, its drivers wearing black helmets, those from the team curiously never mentioning the test's existence in front of a microphone despite several opportunities. All bets seemed to be off as to what might happen next. The resultant FIA International Tribunal did find Mercedes and Pirelli guilty, but was apparently full of understanding of how they might have mistakenly and inadvertently concluded that what they were doing was kosher. And the punishment was mild: a reprimand for both (the F1 equivalent of a stern telling off) as well as Mercedes being barred from the subsequent three-day young drivers' test - which seemed more ham-fisted attempt at levelling the balance than it did retribution. Widely anticipated sanctions, such as fines and points penalties, were shunned. It seemed that an extreme amount of benefit of the doubt was afforded Mercedes, despite the fact that a lot of its line of defence was rather questionable, sometimes inconsistent, as well as just how much the team benefitted competitively from taking part in the test was never properly explored. Perhaps it in part reflected a desire not to humiliate the marque that not only is prestigious in its own right but is also an engine supplier as well as a constructor. It may have reflected in part too that its boss Ross Brawn remains a supreme political operator, and was supreme in this case. It also probably reflected that the FIA didn't really show itself to be above reproach in the matter. But whatever was the case the verdict didn't feel a great deal like closure. The only consolation of sorts was that the events of Silverstone days later took everyone's attention away fairly rapidly. While all this took up most of the sport's quotient of media coverage a far more weighty matter - and not a new one - rumbled in the background this year. Cost control remains the great unresolved issue, and the events of 2013 didn't really get us any closer to an answer. All teams survived the year aside from HRT that went under at the end of 2012, but this campaign contained altogether new evidence of what a problem it has become. The usually fastidious Sauber teams reportedly got way behind on its payments of its driver Nico Hulkenberg. And it afflicted Lotus too - a team with a highly competitive car and in the fight for runners' up spot in both tables - manifested when Kimi Raikkonen said he'd gone without pay all year, and this assisted his relationship with his team rather blowing apart. It also rather destroyed whatever lingering sense that this was an issue merely for back of grid fodder. On the contrary it appears to be the midfielders overreaching themselves to stay competitive that are most at risk. Lotus further stopped a syllable short of admitting that it would have recruited Hulkenberg rather than Pastor Maldonado to its driving staff for next year but for financial imperative, and the drivers' market for 2014 more broadly became as much a bidding war as a talent war. As if to ram the point home Lotus's Gerard Lopez noted after the season end that he believes that 80% of teams are in a no better state than his. Now we have a situation with Red Bull, Mercedes and Ferrari spending their way to success (the relationship between spending and constructors' standings was - McLaren aside - a close one in 2013), and wealth distribution being rather concentrated among those at the top. To illustrate, Ferrari based on this year gets $171m in result money; Red Bull $162m. Lotus - despite being about as competitive as Ferrari - gets a princely $65m (in large part because it doesn't benefit from a bonus independent of its constructors' placing, that the 'big five' of the Bulls, Ferrari, Mercedes, McLaren and Williams get). One doesn't have to be much of a Communist to realise something not right there, particularly when held into comparison to the wealth distribution models of the sports that enjoy healthy growth such as the major American ones as well as Premiership football. Lotus could of course slash £50m from its budget and solve all of its problems, but it chooses to take financial risks in order to remain competitive, which rather sums of the conundrum facing all teams in the middle. And the risk of course is that we have a situation wherein many of the teams have no chance of competing, the competitive order frozen. The prospect of a Frank Williams or Eddie Jordan being able to build something from scratch all the way to the top step of the podium has long been a virtual impossibility. It's also hard to imagine that even were you to cut the top teams' budgets substantially, perhaps even by half, that most of those watching on would notice. The talk of fewer teams each running three cars as well as that of customer cars seems an extreme misdiagnosis. And of course, that the majority of the sport's revenues goes off to CVC never to be seen again doesn't help (while the court cases that continue as a consequence of that deal and that are set to continue for a while are hardly what F1 needs either); neither does the curious lack of sponsorship on many of the cars. McLaren missing its own deadline to confirm its title sponsor to replace Vodafone didn't attract much comment, but may have been indicative. The sport also continues its financial model of seeking to extract as much money as it can from circuits in hosting fees, in particular in 'new' venues where it all can be underwritten by governments in the name of national promotion. But the Korean event that coughed its last having spent years displaying terminal symptoms showed a few of the limitations of this, as does the continuing controversial association with the Bahraini regime and its negative impact on the F1 brand. The promising Indian event also drops off the calendar for next year. European events and venues continue to flounder. The new F1 Strategy Group after the season's end announced a plan to introduce a cost cap for 2015, but the answer of how to surmount the 'turkeys don't vote for Christmas' issue of getting Red Bull and Ferrari on board remains unclear. In the meantime it wouldn't be the biggest shock ever if news was to land of a team going under. And most of the sport's problems - be they tyres that go pop or spending itself into oblivion - can be traced back to its more general disfunctionality. For some time F1 has been run by committee apparently, made up in large part of team principals whose job it is to look after the interests of their organisation rather than of the sport as a whole. Indeed, the sport more broadly - including with a Concorde Agreement yet to be agreed - gives the impression of being a battered bandwagon rolling along almost in spite of itself, and with none of the disputatious occupants in control of the reigns. Few would be too surprised if a wheel or two was to fall off. As if to underline the sport's current paralysis many of the announcements made by the new-fangled F1 Strategy Group after the season's conclusion had a fiddling while Rome burns air. Permanent numbers coming in next year is positive in itself, as is the five-second penalty if implemented proportionately. But the group also announced that as of the 2014 campaign there'll be double points available in the final round: ostensibly it's to keep the championship alive for longer (though it wouldn't have resulted in the title being decided later this year, plus the sport's hardly been short of last-race showdowns in recent times), though there's reason to believe that the real driving force behind it is that Bernie will be able to negotiate a bigger hosting fee from the double points race. Most saw it for what it was: an act of gimmickry. Sebastian Vettel has criticised it, as has Ferrari (as also have most fans), so it remains to be seen if it survives in the teeth of all this. Spicing up the show is one thing but this gives the impression of sending F1 too much into the realms of WWE. If the 2013 F1 season was ill-starred, at least it found a worthy winner. Red Bull's off-track activities this year may have divided opinion but on-track - however grudgingly - it was worthy of universal praise. Last year's close finish led a few to think that the Milton Keynes outfit - despite its latest championship double with Sebastian Vettel - might be on the start of a downward curve. 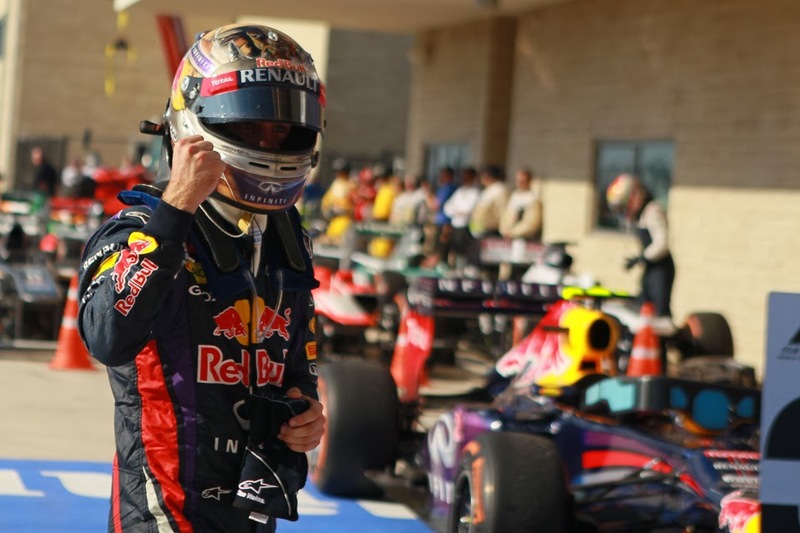 Not a bit of it: in 2012 there were peculiar circumstances, Red Bull essentially ceding half the season due to underestimating the extent that exhausts could be blown for aerodynamic effect under the tweaked rules. A rare misjudgment - and no one at the team was planning on repeating it. In 2013 we were once again treated to a staggering collective functioning at its full effectiveness and motivation. And in Vettel it had a driver molded in its image; this year he was formidable: fast, flawless and benefitting from the swagger that habitual success brings. Probably most impressive of all is that driver and team have displayed absolutely no sign of complacency or slackening despite their repeated triumph. It seems appropriate that they spent the final year of the current rules' spec doing what they've spent most of the time doing since the spec came into being in 2009: being the standard-bearer. Perhaps most instructive of all was that the two most credible threats to Bull supremacy came from sources other than its rivals. The first came from within. In round two in Malaysia Vettel took it upon himself to defy a team order to win, somewhat ambushing a team mate in Mark Webber who - everything turned down - thought they were cruising to the flag. 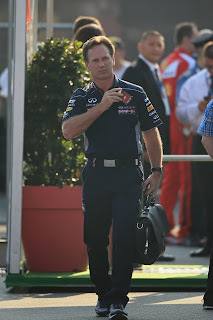 Christian Horner was undermined, apparently unable to defy Seb's will and that of his ally Helmut Marko who broods somewhere in the background (and Horner's inability to control his driver was placed in stark contrast to that of Ross Brawn faced with the same situation in the same race). Seb's line of defence twisted in the wind afterwards. But he and his team reestablished their rapid strides before anyone knew it, probably aided by the fact that Webber was already a marginalised figure there. Perhaps their only major hit was in the PR stakes most notably manifested in hostility from fans such as via booing of Seb on podiums. And the other most credible threat came from the Pirelli tyre supply. The tyre switch as mentioned made a difference and helped the Bulls as much as anyone, but Seb and Red Bull were well on top even before the switch. Without tyres to their taste championship success looked likely; with tyres to their taste it was certain. Races after the summer break became a series of Vettel demonstrations and the titles were his and his team's well ahead of time. It wasn't one for those looking for variation and unpredictability, but it was no less impressive for that. And history will look back at the modern era of the Red Bull with a reverence that it perhaps hasn't always got in its own time. None of the other teams rose to the challenge in 2013. Mercedes was the next up in the constructors' standings, albeit at a distance. Finally this year Mercedes became something like the sum of its parts, aided by the fact that it was spending at levels close to Red Bull's and Ferrari's having previously foolishly assumed that those two teams would bring their spending down. There were three race wins as well as eight poles (the latter all won in the first 11 rounds), and come mid-season it even resolved its perennial problem of its tyres falling away in races. But coming from a distant fifth in the 2012 table, barely ahead of Sauber, a forward leap taking it past Red Bull as well as everyone else was too much to ask. Next year holds promise too, though it'll have to do without its genius figurehead Ross Brawn, who was unhappy with the management structure changes put in train by Toto Wolff/Niki Lauda way back at the start of the year. Ferrari's year started promisingly for once, Fernando Alonso winning two of the first five rounds and looking competitive throughout (even though for a few reasons he didn't make as much hay when the sun shone as he should). But what did for Ferrari was a couple of things: the Pirelli selection of more conservative compounds followed by the tyres being changed mid-year counted against its car's strengths. But the main thing that did for Ferrari was more familiar: botched upgrades in Canada and Britain and the dreaded words that have dogged the team since 2011 of 'wind tunnel correlation' (or the lack of it). Come the second half of the year not even Alonso could make up the resultant difference on his own, but appropriately he was the last one left standing before the Vettel-Red Bull steamroller, and claimed second place in the drivers' standings despite having far from the second best car. Ferrari nevertheless showed some time-honoured self-destructive tendencies by turning on its star pilot (as it did with Surtees, Lauda, Prost, even Schumacher to an extent). Mid-year the strain had a lamp swung over it when Scuderia President Luca Montezemolo saw fit to 'tweak Alonso's ear' in public in response to not much in particular. The relationship has since just about held together, but it remains to be seen whether it's a rapprochement or shaky, temporary truce. Lotus by paddock consensus had a fine car, both aerodynamically and how it looked after the delicate rubber. Yet in terms of points and on-track challenges to the haughty Red Bulls it was barely more potent than those in silver and red. Some said the car was under-driven; whatever was the case it didn't really get a full season out of either driver. Kimi Raikkonen was strong in the first half before various factors came together after the break to ensure that things got more difficult. Romain Grosjean had Kimi's season in reverse: a tricky and accident-ridden first half, before a second half transformation that was possibly the season's most pleasant feature. The rest were even further away, the race victory contending cameos of 2012 from the likes of Williams, Sauber and Force India a long way away. 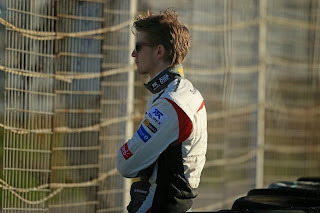 Indeed, there was not so much as a podium finish from them: Paul di Resta's run to fourth in Bahrain, passed by Grosjean late on, was the closest. And if you'd not watched any F1 since the end of last year you'd probably by now have spotted a glaring, gaping, McLaren-shaped hole in all of this. Indeed - amazingly - for the Woking squad in 2013 there were no podiums and for the first time since 1980. This is despite finishing 2012 with what by consensus (and results) was the quickest car out there. But the team got it horribly wrong: deciding to fly in the face of the considerations of the previous sentence as well as that this was the last year of the current rules' fundamentals to effectively rip things up and start again. It was a strategy that always had a 'could go either way' about it, and it went the way that McLaren didn't want. In pre-season some muttered that McLaren wasn't quite with the front-runners. Others, notorious Cassandras of the highest order, ventured that McLaren was in serious trouble. And it turned out those among the latter group were closest to the mark. The MP4-28 had many problems, the main one being that it couldn't run at its required rideheight without stalling the underbody airflow, and it looked evil in Melbourne both visually and on lap time. It hardly helped that it now didn't have Lewis Hamilton to haul the car into places it didn't deserve to be. Despite hopes that the team's in-year development abilities would get the machine to the front eventually, it only crept froward as the season went on and it almost never looked close to finishing in the top three. And it didn't. Ron Dennis is now on manoeuvres, it seems. And such was Red Bull's preponderance that it succeeded not only in beating its opponents, but also to some extent in pressuring its opponents into beating themselves. Some years ago when Roger Federer was in his tennis pomp Andy Murray noted that playing against him one can feel obliged to try to hit the lines with every shot, and thus put the ball out more often than they would ordinarily and thus inadvertently give their revered opponent assistance he hardly needs. This year there were a few apparent examples in F1 of a similar phenomenon in the efforts of the rest to dethrone Red Bull: overstretching and thus defeating themselves. McLaren's decision to go radical with its MP4-28, a strategy that exploded in its face, seemed to have a lot of this about it, as did Ferrari leaving Alonso out with a broken front wing in Malaysia that only resulted in a permanent trip to the gravel trap, as well as Lotus spending money it didn't have that cost it its relationship with its lead driver. The rest have also been cannibalisiing each other: Lewis to Mercedes apparently owed to exasperation in following Vettel at a great distance; Kimi to Ferrari also owed to the strain in the Alonso-Ferrari relationship that would have been less acute presumably had they been more fulfilled by the championships that the Bulls had been depriving them of. Various changes to technical staff probably also owe a lot to Bull pressure. All of this doesn't reflect well on them. Neither does the fact that, at the broadest level, after five years of relative rule stability and with (in some cases at least) no shortage of money and prestige they haven't got any closer to working out how to topple the 'fizzy drinks company' from its haughty perch. But sight should not be lost that while the rest certainly deserved their defeat, Red Bull and Sebastian Vettel just as certainly deserved their victory. Even in the fractious world of Grand Prix motor racing no one could argue with that.